Why would I need self storage in Daly City, CA? There are a variety of reasons why you might need self-storage in Daly City, CA. How much is a storage unit in Daly City, CA? The cheapest storage unit in Daly City, CA is $83.00 per month. What size storage units do you have available in Daly City, CA? In Daly City, CA we have sizes that range from 3'x6' to 20'x25' to suit your storage needs. How much is it for a 3'x6' storage unit in Daly City, CA? The cheapest 3'x6' storage unit in Daly City, CA is $83.00 per month. 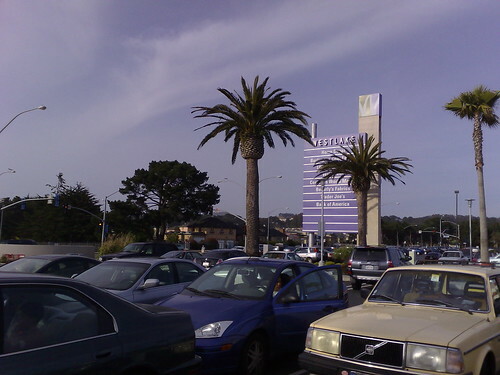 Daly City is one of the largest cities in San Mateo County, just south of San Francisco. It's home to a diverse population, with a balance of families and young professionals. It's earned recognition as the site of some of the best shopping in the Bay Area, with its slightly lower sales tax rate attracting plenty of shoppers. Like many areas of California, the area that's now Daly City was home to Native Americans for thousands of years before the arrival of settlers. European settlers arrived in the area in 1769, led by Gaspar de Portola. The land was mostly used for cattle grazing in the early days of the settlement, and the Spanish established a few nearby missions. In 1868, John Daly purchased 250 acres of land with the goal of creating something more. He built the San Mateo Dairy and became a leader in the community. In 1907, Daly subdivided his land, and the beginnings of a town were laid out. After a major earthquake struck the Bay Area in 1906, Daly City became a destination for people looking for somewhere to call home. As the need for established services grew alongside the population, efforts began to officially incorporate the town. In 1911, Daly City earned its official title as an incorporated city. Throughout the second half of the 20th century, the city expanded with the arrival of new residents, businesses and public transportation. Daly City is a popular home base for many families because it offers a variety of amenities. Shopping and dining options are plentiful in the city, and the parks and recreation department provides many local programs and services. The local youth recreation program features nature exploration programs, summer camps and educational activities. Adults can choose from a number of classes and lectures on topics including language, safety, computers and art. The city hosts a number of special events, most of which celebrate cultural diversity and heritage. Black History Month, Women's History Month and Latino Heritage Month are just a few of the celebrations you can attend, with food, educational activities and cultural performances to enjoy. Several different school districts serve Daly City public schools. Your specific neighborhood will determine your district zoning, or you can also enroll your child in one of the private parochial or secular schools in the city. Utilities: The city manages residential water and sewer services. Pacific Gas & Electric is the city's energy provider. Garbage and Recycling: You can expect regular collection of trash and recyclables. Your neighborhood will determine your collection schedule. Transportation: Public transit is a very popular form of transportation in Daly City. You can choose from a number of routes provided by Bay Area Rapid Transit (BART), SamTrans and the San Francisco Muni. The median home price in Daly City is higher than both the state and national averages. Rent is slightly more affordable but still more than what you would pay in other areas of the country. However, there are a variety of housing options, so you can afford to be picky and find a good fit for your needs and budget. Our lowest priced units in Daly City, CA average $118.17 per month. 267 people have reserved units in Daly City, CA in the past 30 days. There are 6 locations within Daly City, CA's city limits. There is 1 location in Daly City, CA that offers AC and Heating features.